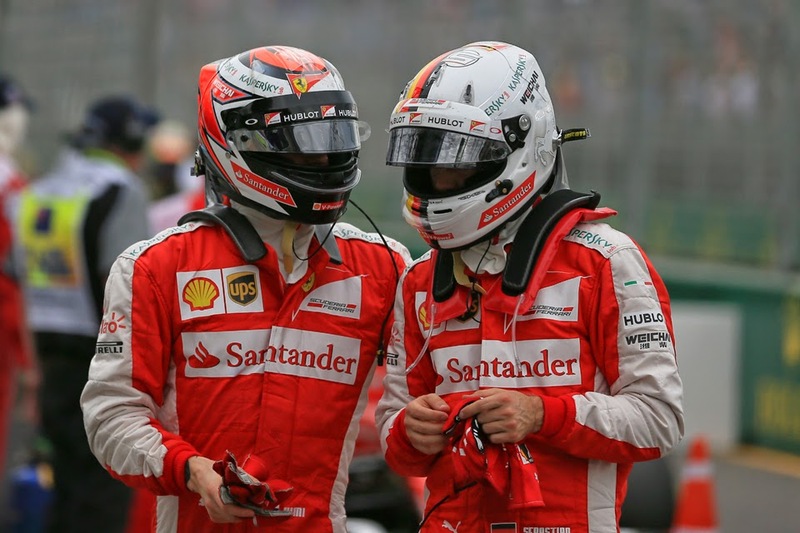 Talking about F1: The F1 blog: Sakhir Preview: Red Resurgence? The Malaysia win owed a lot to a far improved Ferrari chassis and power unit. But even with this its card that trumped even the haughty Mercedes was its ability to stretch out tyre life, a trait greatly rewarded in Sepang's heat and with its abrasive surface. Baharin is hot of course and Sakhir's surface is reckoned the most abrasive out there, due to a quirk of the asphalt. You do the maths. The F15-T as many have pointed out too shares many of the characteristics of the Lotuses created on the watch of the Scuderia's Technical Director James Allison. And those Lotuses had an excellent record at this track, with double podium finishes in 2012 and 2013. In addition to the traits listed above that are important here you can add excellent traction which the Ferrari now boasts, as this circuit is dominated by slow corners leading onto long straights. Furthermore the Italian power unit likely will cede little to those powered by Merc on those long straights this time. Additionally Ferrari had almost no extra (and aero damaging) chassis holes to help cooling in Malaysia's heat either, so this presumably will also be same again. Both of the red team's drivers have done well here in the past too - Sebastian Vettel has won twice and while Kimi Raikkonen has never won here he has finished on the podium on no fewer than six occasions. Unlike those previous times though, just like last year the Bahrain race will be run at night, under floodlights, which should ensure the track temperatures are much lower than they would be in daytime (indeed the track temperature in last year's Sakhir race was actually lower than that in China last Sunday) - a factor that Ferrari might regret. Last year was the first such night time race here, and as a consequence was rather a step into the unknown. It also was a curious affair, as some teams such as Ferrari and Williams experienced fairly high tyre degradation and therefore stopped three times in the race; others experienced fairly low degradation and therefore stopped twice. The trouble for Ferrari is that one of those teams that found rubber matters benign was Mercedes. 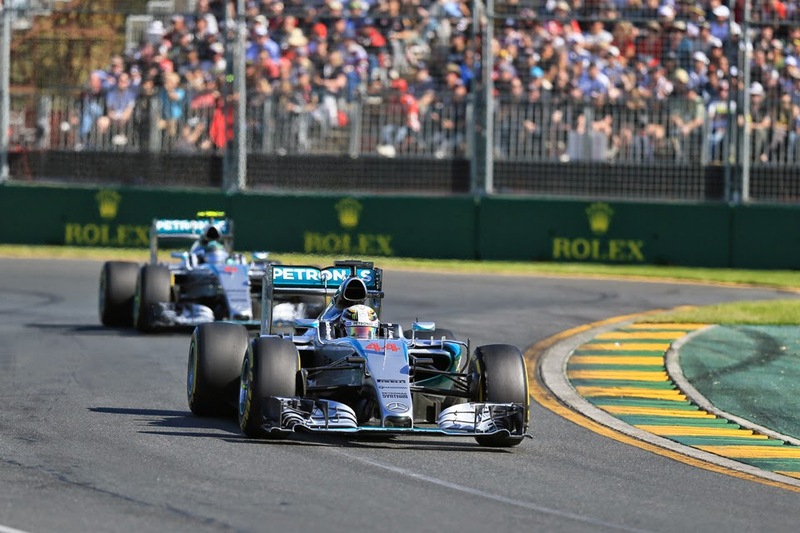 Of the two Mercedes, will Nico Rosberg be trailing again? And more broadly the considerations given so far reckon almost without Merc. And the fact that the squad has got rather used to having the top places to itself. So surely even with the above factors Mercedes remains favourite. Its package is simply too strong for us to conclude otherwise. One thing Mercedes does have to think about though is the knotted question of Nico Rosberg. If Merc is still the favourite then intra-team Lewis Hamilton looks to have about the same advantage. And Nico during and after China's running last time was showing conspicuous signs of wear at it all. He's since laid down his arms, officially at least, but many will be scrutinising his performance behind the wheel this weekend - with cod psychology theories near at hand - to gauge how he's reacted to it all a few days on. Yet even with the drama the time gaps in 2015 have rarely been big between Nico and Lewis, and as the German himself noted after the Chinese race, another 0.05 shaved off his qualifying time there and the entire weekend could well have had a very different complexion. Bahrain is a happy hunting ground for Nico too - he ran Lewis about as close as is possible without actually winning here last year, took a surprise and impressive pole position here the year before, once upon a time won his GP2 crown at Sakhir as well as on his F1 debut at this very venue became the youngest ever claimant of the fastest lap. But then again China was meant to be happy hunting ground for him too. And Lewis seems on a plateau at the moment. Plus nine defeats in the last ten is hard to argue against. As we've got used to already the rest are likely to be distant specks in the rear view of the top two teams. But there nevertheless are a few worth watching. First off, Lotus, which after flattering to deceive in the early part of 2015 finally made good on its promise in China, bagging some points while Williams (which finished ahead) reckoned the Enstone car had more inherent pace than its own set of wheels did. As mentioned Lotus has got strong results here in the past too. Is Massa back to his best this year? 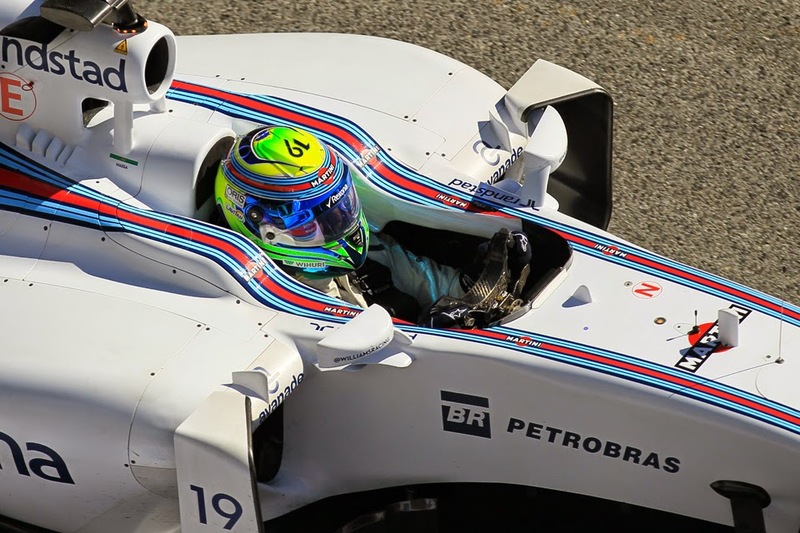 As for Williams, while its campaign thus far has been tinged with disappointment Felipe Massa has been driving well, qualifying ahead of team mate Valtteri Bottas every time as well as leaving him in the Chinese race last time out. It all led to Rob Smedley commenting: 'What we are seeing at the minute is definitely the best Felipe Massa that we have seen, definitely as good as 2008.' Some praise. The Sakhir track, a bit like Interlagos, is one on which Massa also seems to go well on too, and he's won here twice. He's another worth keeping an eye on for a strong showing. Force India is another team that tends to show up well here, as indeed it did 12 months ago with Sergio Perez bagging a top three finish while Paul di Resta came within a few laps of doing the same the year before that. However the Silverstone team after a late debut of its 2015 machine has rather been playing catch-up so far, often being at the back of the midfield bunch. McLaren too is worth a thought as it continues its creep forward to eminence, and more Honda power is promised this weekend. But most thoughts will be at the front of the pack. And with reason, as for the first time in a long time we enter a Grand Pix weekend without a firm sense of which team is likely to be on top.